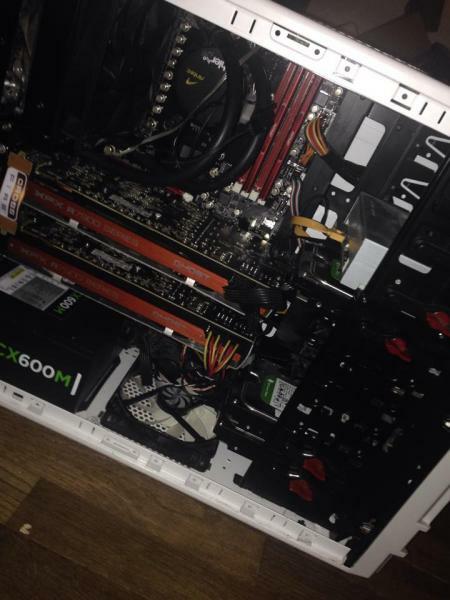 I got an APU build with an AMD A8 - 6600K and a while ago I got a discrete videocard (Radeon R7 265). Since the videocard is a bit large I think it blocks a bit the airflow for the CPU cooler (Zalman CNPS5X Performa), because the temps raised like 5Â° - 6Â°. I have an spare 120mm fan I could use. Do you think if I find a way to install it in the front top in the area for the drive bays (since I'm not using optical drives atm), would this help? Also any suggestions to do it? Thanks for your help in advance. This is my current setup, not my actual PC, but just to give you an idea. I can't take pics atm because I'm not home. try to install the spare 120mm fan on the side panel first, check if it will help you lower your temp inside of your case. if you really insist on installing the fan in the 5.25" area, you could actually get a 5.25" to fan converter, you should be able to find them on the market. Thank you very much. Will try and check how the temps are having it on the side panel first. Then would try something in the front. Those fan mounts look cool as well. anytime, we are here to help! my problem or is it a bit generalized? Hey guys I was wondering if there was space in the front of the case to mount a 120mm fan? There's one, I think you have to take the front panel off to access it.